The GLOBAL VALUE toolkit provides knowledge, tools and resources for companies and other societal actors wishing to tackle the Sustainable Development Goals (SDGs) together with business. The SDGs entered into force in 2016 and provide an unprecedented global reference agenda for sustainable development. The SDGs affirm an emerging consensus that companies may contribute to global sustainable development by enhancing positive impacts (e.g. economic development & poverty alleviation) and reducing negative ones (e.g. resource depletion & human rights violations) across bottom lines. This is what we call managing for global value. GLOBAL VALUE has collated and categorised more than 220 impact measurement and management tools. Be the first to get a sneak peek into the GLOBAL VALUE tool navigator and explore the largest categorised database of impact measurement & management tools. We welcome your feedback. Please let us know what you think! Together with footwear manufacturer Bata, paper & packaging producer Mondi, and the agribusiness Olam International we have put 15 widely applied tools to the test. We are currently compiling this data into tool reports and showcases containing key insights on the features, capabilities and usability of each tool. Check out the latest GLOBAL VALUE tool reports and showcases! What is the role of governance for creating global value? We investigated how systems of governance can enhance corporate responsibility and worked with companies and stakeholders to highlight governance challenges in the gold mining, textile and tea sectors in Tanzania and Bangladesh. Stay tuned for case studies from Tanzania & Bangladesh! What do the SDGs mean for your company? How can you contribute today? We have broken down the SDGs for you and will publish sector profiles for businesses in 10 different sectors in the coming weeks. Come back for the latest GLOBAL VALUE sector profiles! Effectively measuring and managing business impacts on development is no easy task. Socio-ecological effects of business activities materialise along complex pathways of impact. They span global value chains, affect diverse stakeholder groups, and involve trade-offs that can be daunting to deal with. 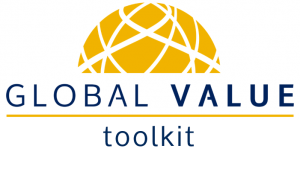 The GLOBAL VALUE toolkit provides you with the resources you need to start tackling these challenges. Listen to experts from business and development explaining what is needed in the future to drive corporate sustainability. GLOBAL VALUE – Managing Business Impacts on Development is one of the largest EU-funded research projects to date addressing the measurement and management of business impacts on global sustainable development. There is still time to get involved. Interested in Global Value? Find out more about the project and watch videos of the project team answering your most pressing questions. How to get involved? Gain a sneak peek into the testversion of the GLOBAL VALUE tool navigator and participate in our pre-launch expert consultation happening now! Want to support Global Value? Subscribe on this website to be the first to know about the GLOBAL VALUE virtual launch, taking place from 12-14 June 2017 and invite others to join. GLOBAL VALUE is co-funded by the European Union Seventh Framework Programme under grant agreement no 613295. Sole responsibility for the project lies with the participating organisations. 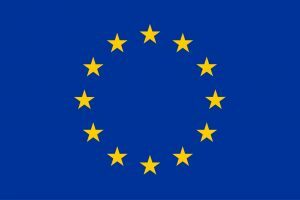 The European Commission is not responsible for the use that may be made of any material arising from this project.